Warner Bros and TT Games have opened the floodgates. 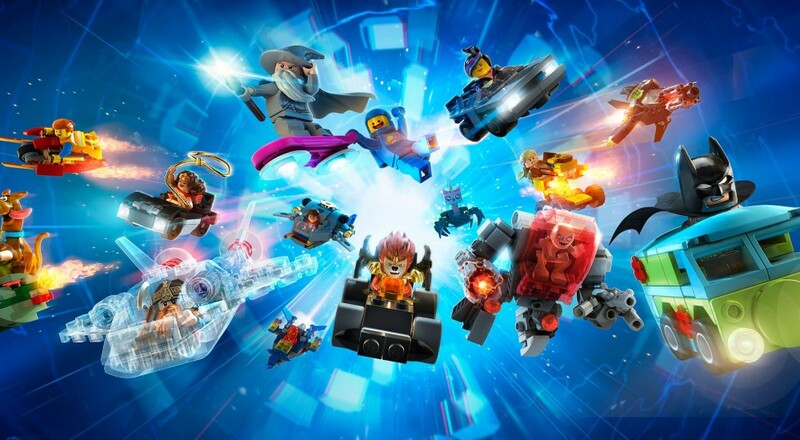 The expansion packs for the next year of LEGO Dimensions include content from 16 well-known properties. Starting on September 27, a whole new wave of expansion packs for the game will be released that will be based on notable franchises like the A-Team, the new Ghostbusters film, Harry Potter, Gremlins, Beetlejuice, and more. When the fall comes around, things kick off with Adventure Time and Mission: Impossible "level packs," Harry Potter and Adventure Time "team packs," and an A-Team "fun pack." As a quick breakdown of what all of that means, the level packs include a new level, new character, and a couple new gadgets or vehicles, the team packs include characters and gadgets/vehicles, and the fun packs include a character and a gadget or vehicle. All of this new content will be compatible with the existing LEGO Dimensions Starter Pack, so you won't need to buy anything but the expansions. In addition to these standard packs, a new "story pack" is being added to the mix. This one will be based on the Ghostbusters film coming out this summer. This new content "will provide a complete movie-based gameplay experience with six puzzle-packed levels and new LEGO Gateway bricks that allow players to build Zhu’s Chinese Restaurant atop the LEGO Toy Pad." You'll also get an Abby Yates figure with Proton Blaster and a new Ecto-1 vehicle. Finally, the pack will unlock a new play mode, "Rip," which allows you to open a mirror universe where you solve puzzles and affect objects in the regular universe. I've really enjoyed the various expansion packs and franchise integration TT Games has pulled off so far in LEGO Dimensions, and it looks like I'll be tossing some more dough their way once this new round of content comes out. Particularly if they do some kind of A-Team level pack and I can hear that theme music over and over to my heart's content.... I love it when a plan comes together. Page created in 0.4414 seconds.